A sleep bag is essentially what you’d get if you combined all the best attributes of a cozy, comfy sleeping bag with a soft and lightweight baby blanket. I recommend them for a number of reasons, which I discuss in the blog. One of my favourite brands of sleep bags is by Kyte BABY - founded on four basic principles: Comfort, Simplicity, Safety, and Sustainability! I'm also a big fan of the Gro Bag - their Zip-click® feature even keeps little ones from opening their zippers as they get older! Children sleep more easily when not surrounded by loads of light and many distractions, so keep bright sunlight (or artificial light such as street lamps) out of your little one's sleep space. I recommend blackout blinds, covered by blackout curtains, for maximum coverage! My go-to venue for the best blackout blinds is Blinds To Go. The quality of their products is simply amazing! 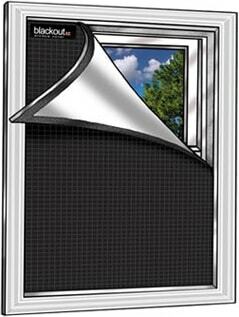 Another fantastic blackout option is the Blackout EZ Window Cover. Whether you simply don’t feel like investing in custom blackout blinds for the nursery, or you like to travel and find it hard to make hotel rooms as dark as home, the Gro Anywhere Blind is a fantastic way to make any room dark in a hurry! 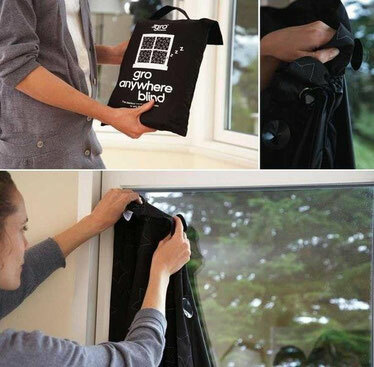 And the best part is it sticks to any window with suction cups (no duct-taping garbage bags together for a curtain solution!) and it can be made bigger or smaller using the Velcro adhesives, to fit many window sizes. If you live on a busy street, have a loud pet, or have an older child sometimes being loud and disturbing naptime, a sound machine may be a great idea! When using a sound machine, I recommend it be on a “white noise” setting, and that it run continuously, not on a timer. I also recommend, for safety, that it be placed about 5-10 feet from your child’s crib, and that it be about the same volume level that you’d experience when standing under a soft shower (under 50 decibels). 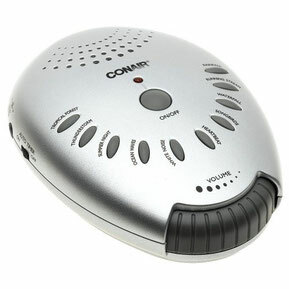 My favourite sound machine, by Conair, has a “white noise” setting, a timer that can be turned OFF, and a volume function with a wide range of settings. The HoMedics MyBaby sound machine is another great option. A consistent bedtime routine is key to helping your little one understand when sleep-time is approaching. A great bedtime routine might include a bath and a massage, and should always involve safe, quality products for your baby. Matter Company, founded by Toronto-based Denise Williams, embraces a holistic approach to personal care which recognizes the relationship between our natural environment and our physical and emotional well being. Many of Matter Company's baby products have personal stories behind them; The Substance: Mom & Baby line, for example, was created for Williams’ best friend, who was pregnant at the time and wanted products that were safe to use on herself and her new baby. For younger children in cribs, many options exist for travel, from travel cribs to Pack N Plays – some hotels even rent full-sized cribs! But what about older toddlers and children? 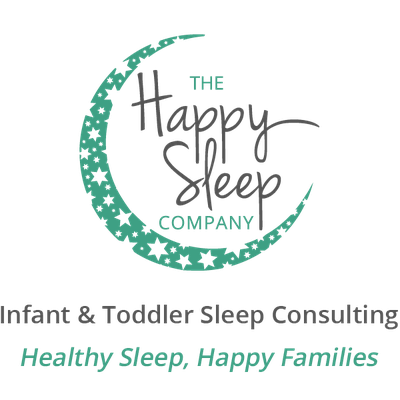 Sometimes they are not yet comfy in a “big” bed, and are sleeping in a “toddler bed” at home, which can make the queen-sized bed in a hotel room or the king sleeper at Grandma’s house seem a little daunting! 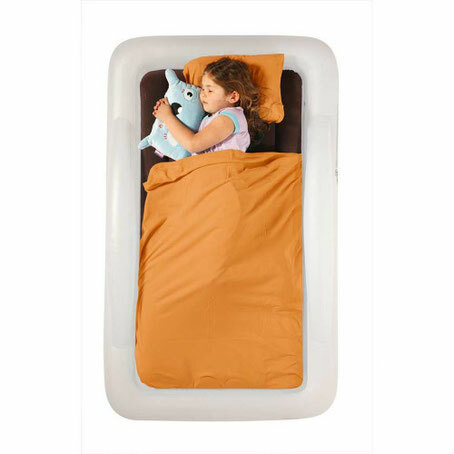 My solution is The Shrunks Toddler Travel Bed or Twin Travel Bed. The beds have a unique design with blow-up side rails so your little one feels safe and secure, and sheets and blankets that tuck into the inner air mattress. A great addition to your travel-sleep-bag! Available at amazon.ca and many children’s stores. NOTE: The Shrunks also makes inflatable bed rails – a great options when transitioning your child to a toddler bed from a crib! If your toddler or preschooler is making 5am wake up calls part of the routine in your house, a wake up clock may help. 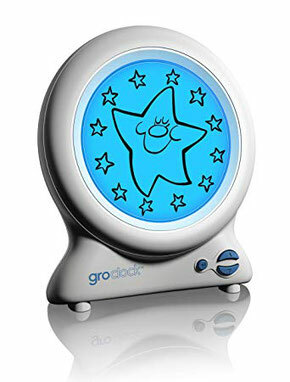 The Groclock uses fun images of stars and sun to help your little ones learn when it's time to rise and shine and when it's time to go back to sleep! Throughout the night the Groclock will show its moon screen and the stars will countdown to the time you have set for the sun to come up. There is an option to have the screen be blue at night, or to turn the light off completely at night if it is too bright for your child. I recommend the Groclock no earlier than 2.5 years of age, and for most children 3 years and older is better, as this is when they more fully-comprehend it and therefore it is more effective. For older children, a parent may wish to consider offering a comfort object for sleep.Recommendations suggest nothing of this nature in the crib earlier than the age of one, but as a toddler it may be helpful to allow your child something small and soft and safe to provide extra comfort for sleep. I do suggest only one sleep object, to reduce stall tactics (“Froggy tonight! No, Bunny tonight! NO! Duckie tonight! !”) after the lights are out. And, be sure to get a duplicate, for the wash cycle or in case the original ever gets lost! 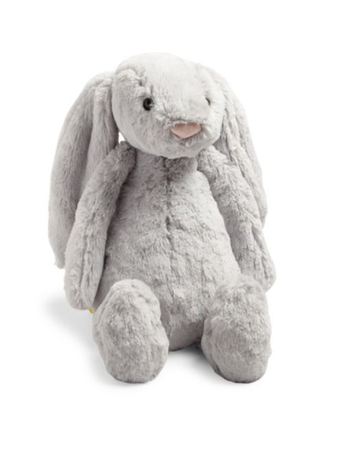 Jellycat animals are some of my very favourite comfort objects!